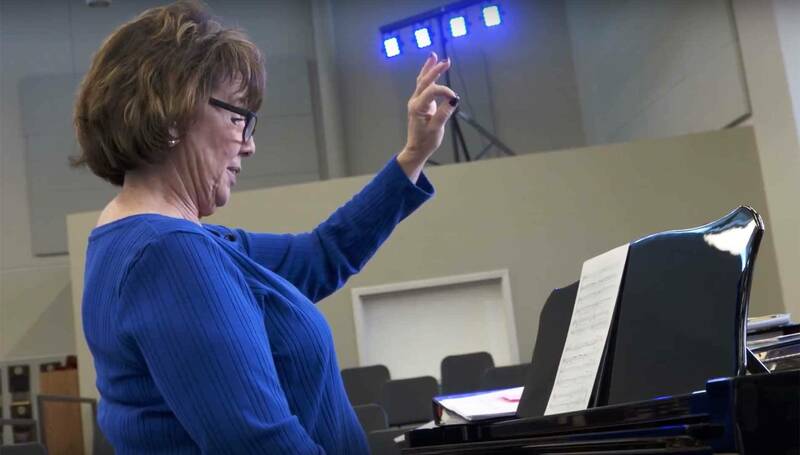 For 43 years, Cindy Jordan has shaped Colorado Academy’s choral music program, creating an unparalleled experience for students since she joined the faculty in 1976. Cindy will retire at the end of this school year, and she will be remembered for the transformative impact she has made on the CA community during her tenure. To recognize Cindy for her long and dedicated career, the Colorado Academy Alumni Board is inviting the community of CA alumni and their parents to take part in a challenge to raise enough dollars to name the entrance plaza of CA’s soon-to-be-built Center for the Performing Arts in Cindy’s honor. The Alumni Board’s challenge is to raise $250,000 through gifts from CA alumni and their parents to the Performing Arts Center, the final project of the multi-year See it Through capital campaign. In recognition of the dollars raised through this challenge, the plaza will be named for Cindy, and all supporters will be acknowledged on signage at the Performing Arts Center. Make a Gift in Honor of Cindy. All new gifts and pledges from CA alumni and parents of alumni in honor of Cindy will count toward the challenge, including second gifts, multi-year pledges, and increased pledges. Gifts or pledges must be received by Giant Relay Day on May 24, 2019. Thank you for helping us celebrate Cindy Jordan!